SDTEK offers Chula Vista managed IT services in Chula Vista, California. As a California, based Tech Services Company, our Chula Vista IT service technicians have the ability to arrive on site at your business within minutes. 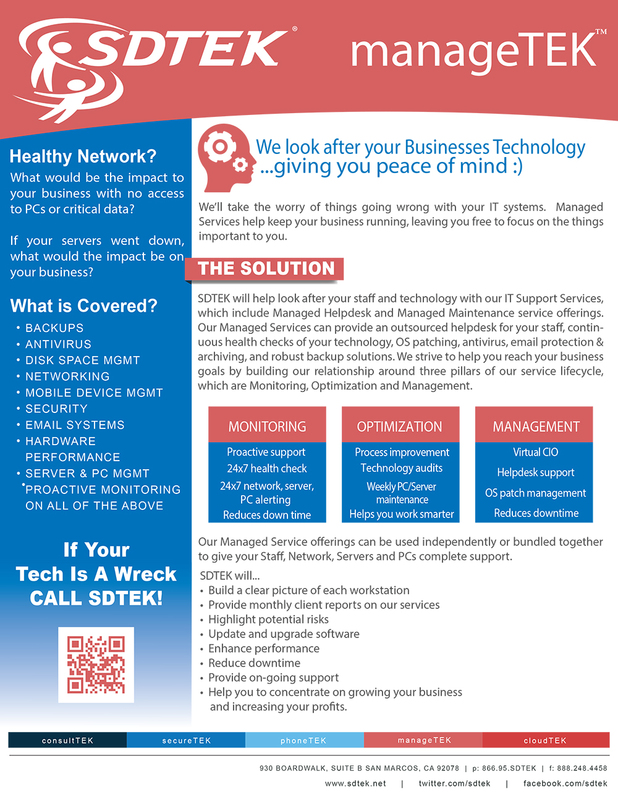 SDTEK provides Chula Vista managed IT services with 24/7 support. 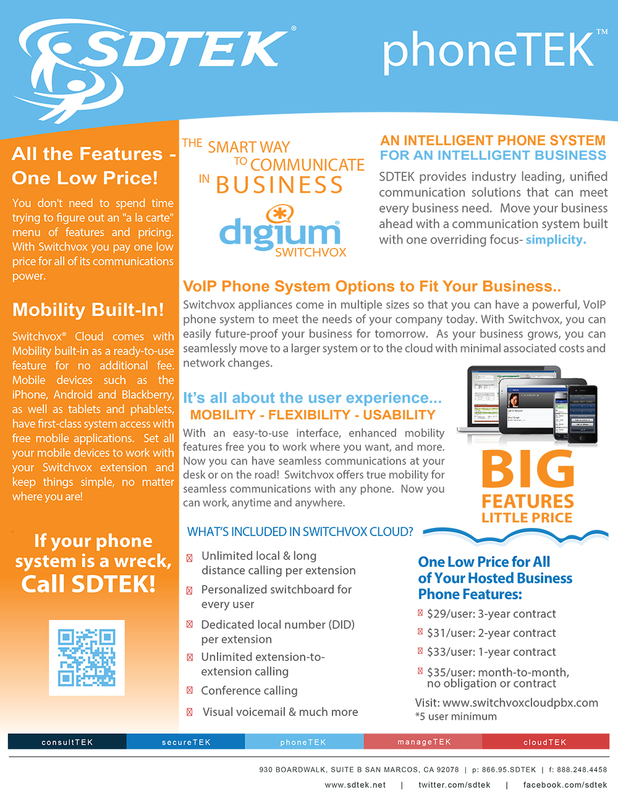 Chula Vista MANAGED IT SERVICES 760-454-0140 » 24/7 IT Services Hotline. We answer our phones live, take a business owner’s point of view, and provide an unmatched 100% unconditional money back guarantee. We offer professional help with cyber security, backup and disaster recovery, hosted email, windows, outlook, office, Mac, computer networks, VOIP, LAN, WAN, hardware, databases, IT Networks, IT Support and cloud services. 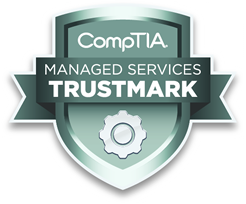 At SDTEK, we customize managed IT services for Chula Vista and offer affordable managed IT service packages designed to fit within the budget of businesses or organizations in the Chula Vista area. Help Desk Services are also available. 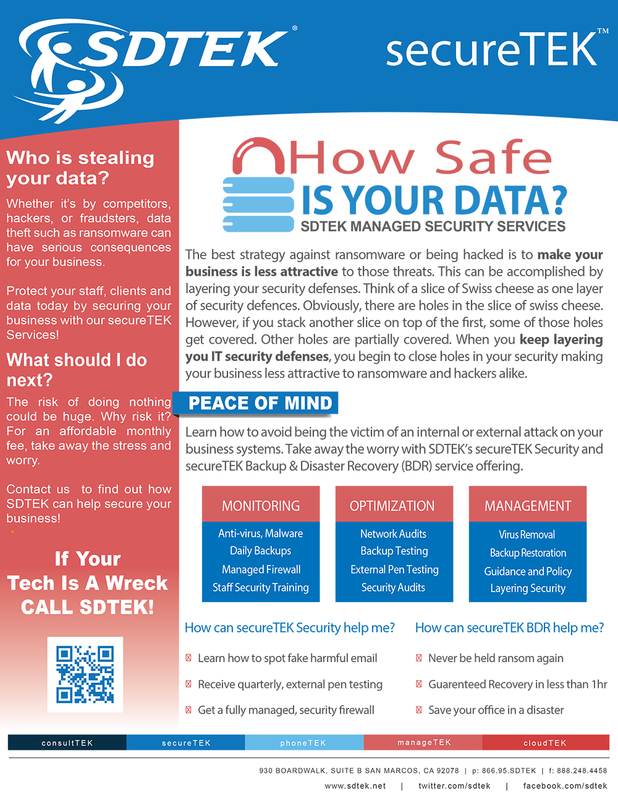 To get computer and network help in Chula Vista, call SDTEK at 760-454-0140. 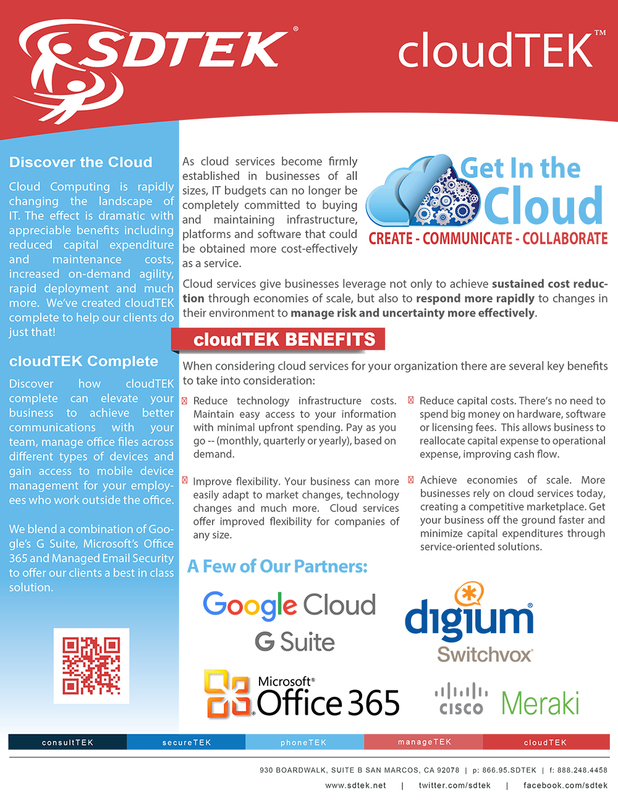 SDTEK’s managed IT services programs help companies cut costs, avoid downtime and boost productivity. 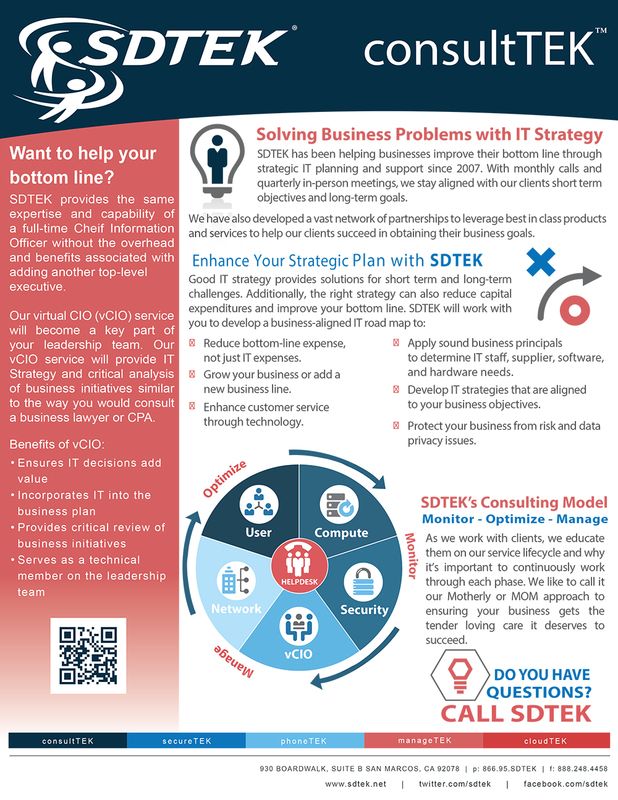 As the highest 3rd party independently rated Managed IT Services Provider in California, SDTEK helps businesses resolve IT challenges by providing expert on and off-site technical assistance at a moment’s notice. We take the time to understand your organization, LAN & WAN computer networks and provide custom IT services plans designed to meet your specific needs. We also aim to assist local Chula Vista businesses as soon as a problem arises; our IT technicians answer the phone live and are able to start troubleshooting your issue instantly. Our Help Desk Services are available 24/7 at 760-454-0140.